When any learning solution is designed, we always focus on our end users and their exceptional experience. In the past, the end user focus for learning solutions has been around academic or corporate audiences, which were mostly adult users. Learning landscape is changing dramatically and so is the definition of audiences. With new technologies and tools available these days, there is no age barrier when looking at your end consumers or target audience for learning. Companies like Apple and Amazon (Kindle) have not only revolutionized the tools and their ease of use, but have also added ‘WOW’ factor to these gadgets. The ease of use, portability, mobility and visual appeal has made these tools and technologies preferred way for learning content consumption. While PC makers are struggling with slumping sales, the sale of mobile devices and their adaptability is increasing exponentially every year. Technology leaders like Apple and Amazon brought tools like iPad and Kindle to the mainstream and the content providers were ready too. They met the consumer’s appetite with new applications and content ready to be consumed with these tools. They came up with new sites, applications and tools for all generations to attract them and keep them engaged. Seeing the adaptability of these tools and consumers ongoing hunger for more and more applications, lot many new content providers have come into market too. A new industry has developed focusing on the applications meeting various needs of consumers and how to attract and engage them. 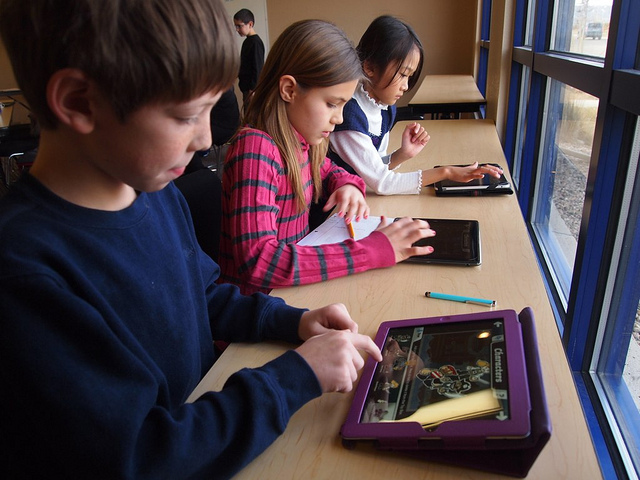 Kids are using these apps on their laptops or iPads for math or science lessons, adults are using them for catching with the news or networking and senior citizens may be for leisure reading or travelling across the world sitting on their couch. Learning content providers are also trying to keep up with technology trends and consumers demands. Now a days, there is content available for every device out there in the market. Content creators and supporters are working hard to create relevant, useful and easy to consume learning for their consumers. Not only traditional learning content providers have evolved with changing times, but the other providers and manufacturers have entered in the race too. These days you can get traditional family games like Hasbro’s scrabble and Mattel’s hot wheels on iPad for younger kids, Shazam and Pandora radio for teens and text to speech or speech to text kind of apps for the elder generation. Besides the personalized learning, learning platform providers are looking for consistent, continuous and seamless experience for their audiences across platforms and devices. For example: User starting a module on a smartphone and pick up where he has left off on his laptop or ipad when he gets home. Not just the platform vendors, but the content providers need to be able to build and support content as well which is adaptive and seamless. Vendors like element, Liqvid are good examples. Then there are other vendors who are somewhere in between and enable content providers and developers to develop mobile content which is easy to use and engage with. Hot Lava mobile by Kenexa is a great example of the mobile content development tool. There is an ocean of new developments in tools, content and applications which is revolutionizing learning and scope for new opportunities is tremendous. The key is to maintain focus on keeping your audiences engaged and excited.